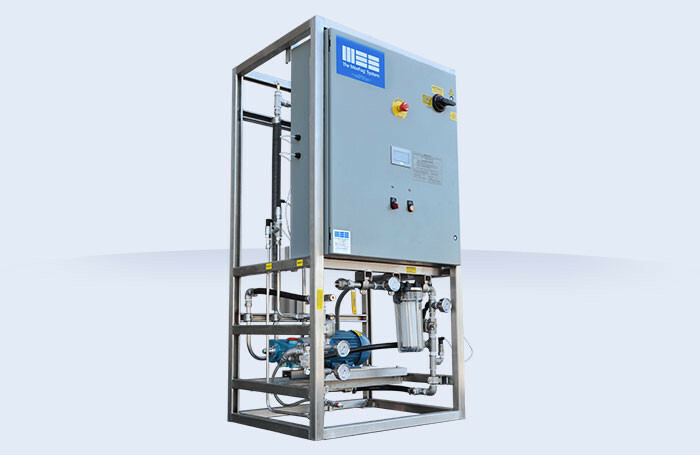 Adiabatic Humidification System for Data Centers | Mee Industries, Inc.
Energy efficient Data Centers take advantage of free cooling and direct evaporative cooling many months of the year. 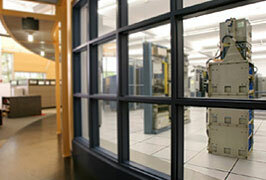 The Internet is having a major impact on the growth of information systems departments. The volume of servers and other hardware, the required support services, and the number of employees has also increased in parallel to the internet growth. 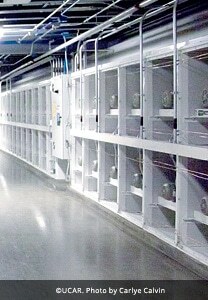 Larger data centers have more equipment, producing more heat, and need a dedicated humidification system to stabilize the fluctuation of relative humidity (RH). However, temperature and humidity control is often overlooked. 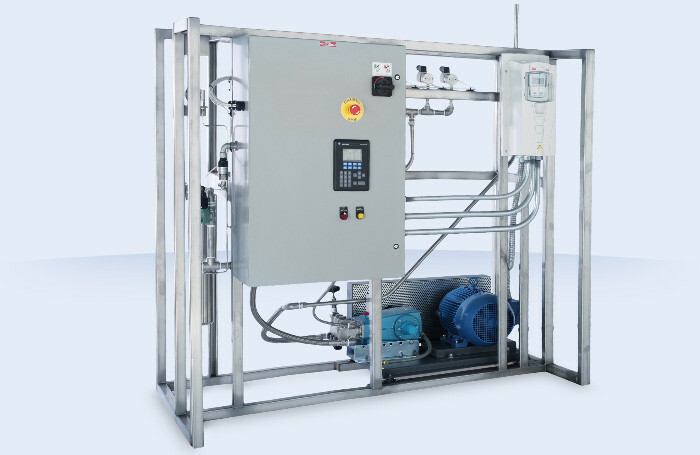 Inadequate humidification is a concern for data centers. 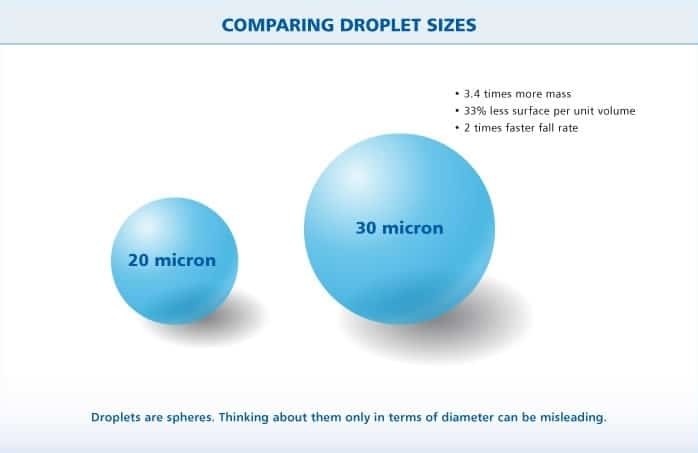 Low humidity can lead to excess static electricity and lead to electrostatic discharge (ESD) resulting in fatal component damage. Large fluctuations in humidity can cause circuit boards to expand and contract, damaging circuitry. 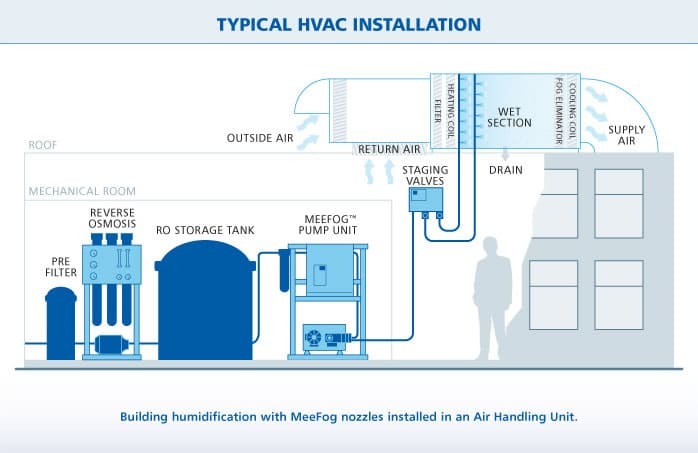 Mee Industries answers these potentially harmful conditions by a process called adiabatic humidification. This process introduces a controlled amount of humidity into the air handling unit (AHU) or duct, reducing the potential buildup of electrostatic discharge and helps maintain overall temperature and humidity control. 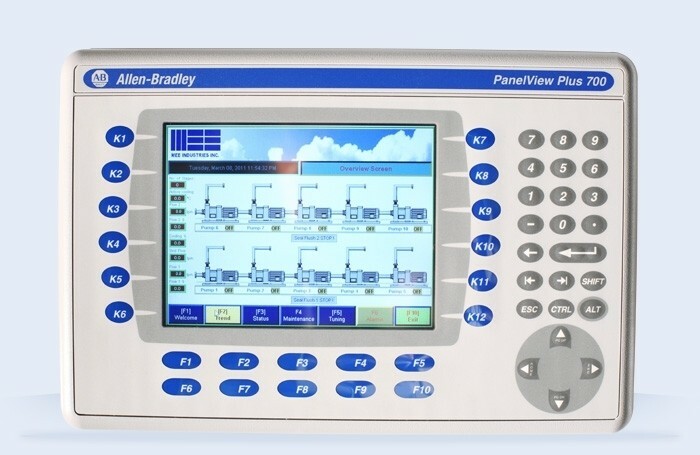 With Mee fog humidifiers installed at your data center, computer equipment reliability is increased by monitoring relative humidity and is optimum for both equipment and personnel. High quality, corrosion resistant system components. 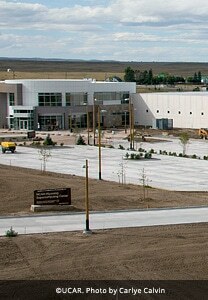 When the National Center for Atmospheric Research (NCAR) decided to build a new supercomputing center, it wanted to take advantage of the free cooling available by the high, dry Wyoming environment. 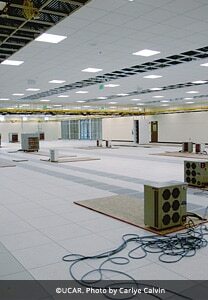 But using that dry air risked electrostatic damage to the $25-$35 million Yellowstone supercomputer, the data analysis and visual systems, and all the other storage, networking and ancillary equipment in the data center. 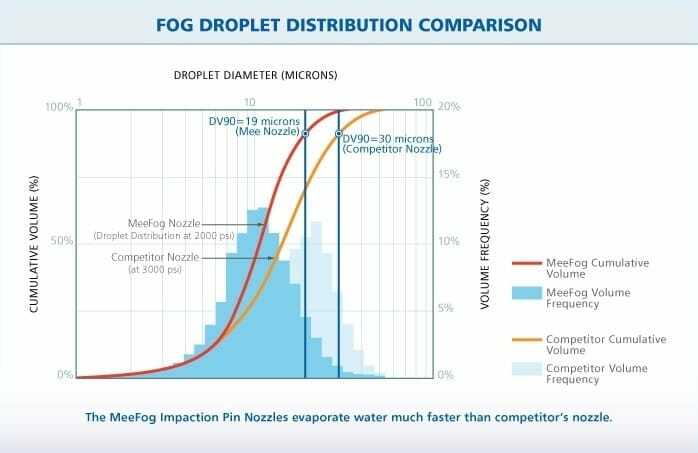 For reliable, energy-efficient humidification, NCAR installed a MeeFog™ system with two 1.5 HP ceramic plunger pumps delivering 2 gpm of fog into the air handlers, allowing NCAR to safely use outside air.